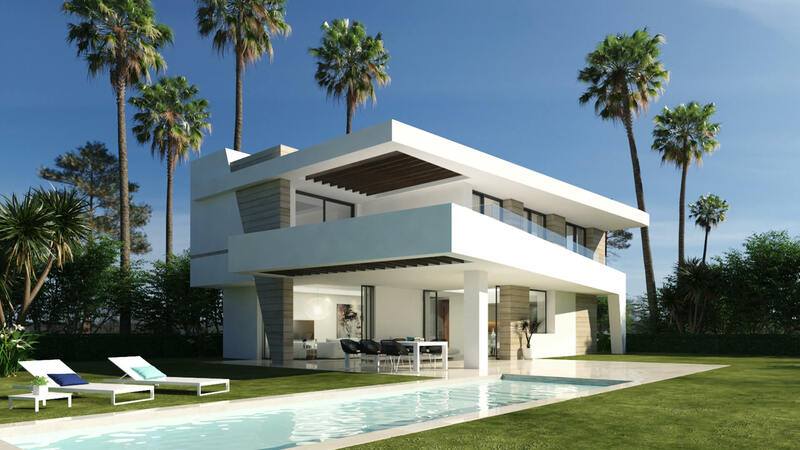 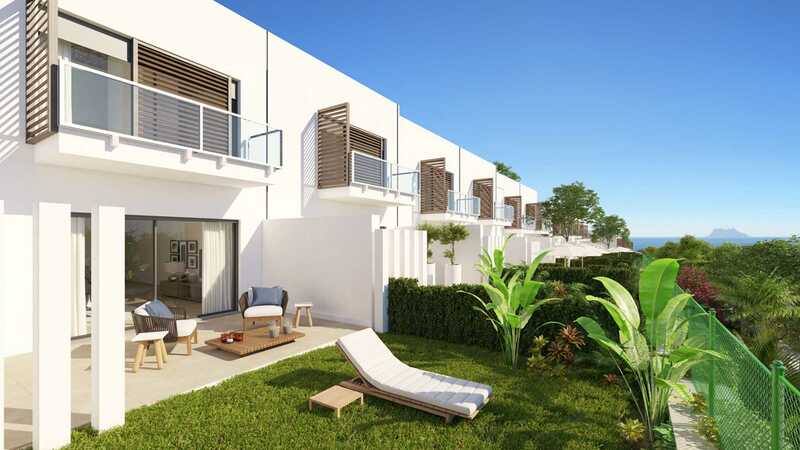 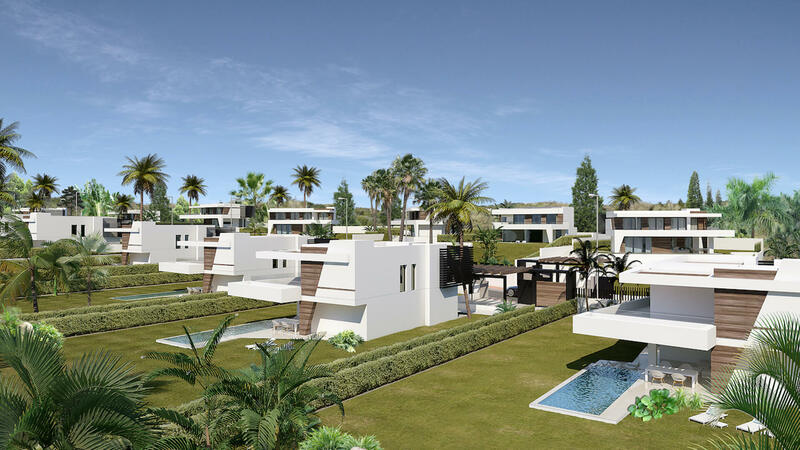 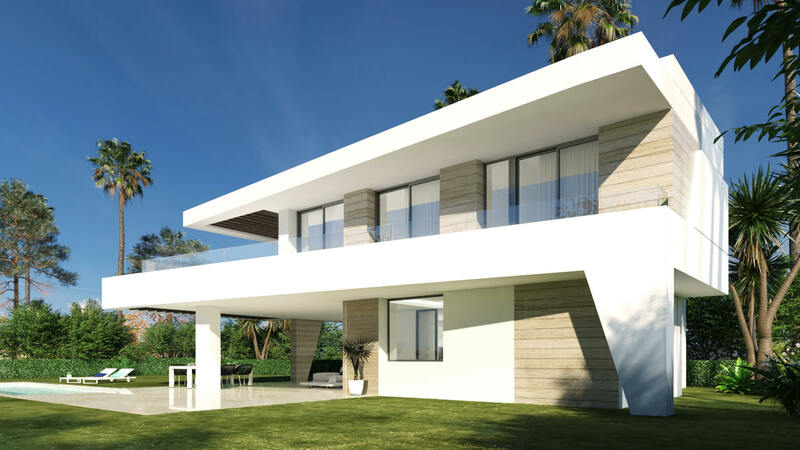 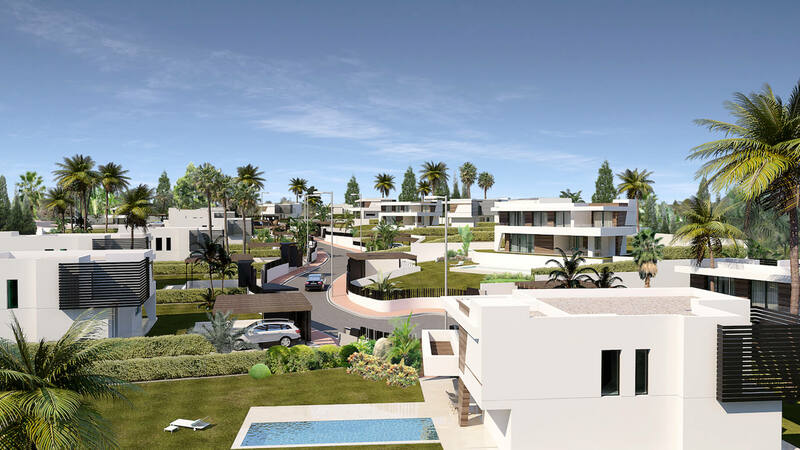 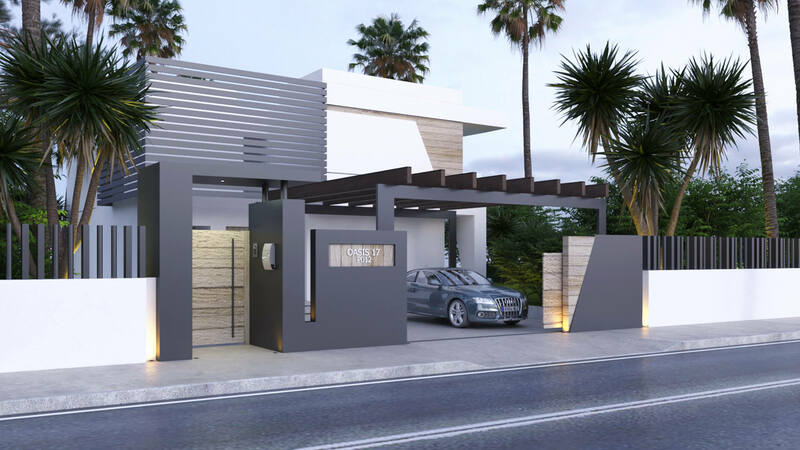 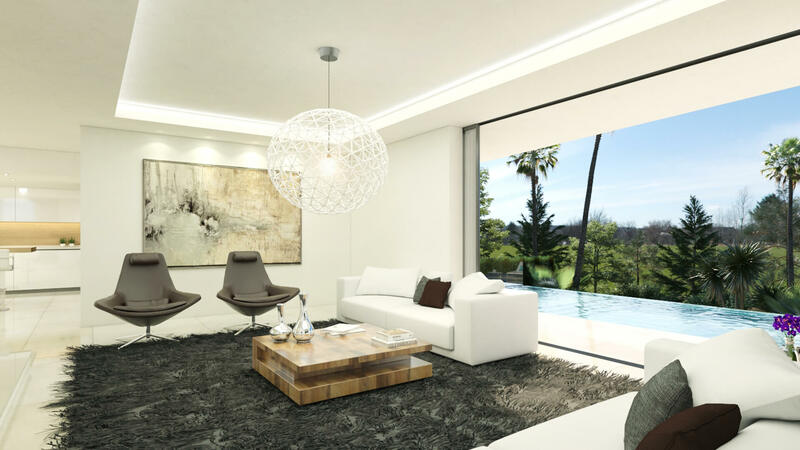 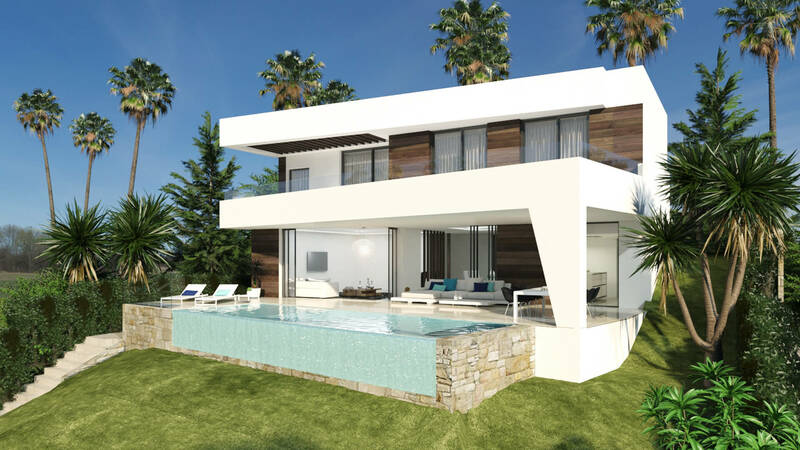 This is a new development of 17 luxury villas in an enviable location on the New Golden Mile, close to La Resina Golf. 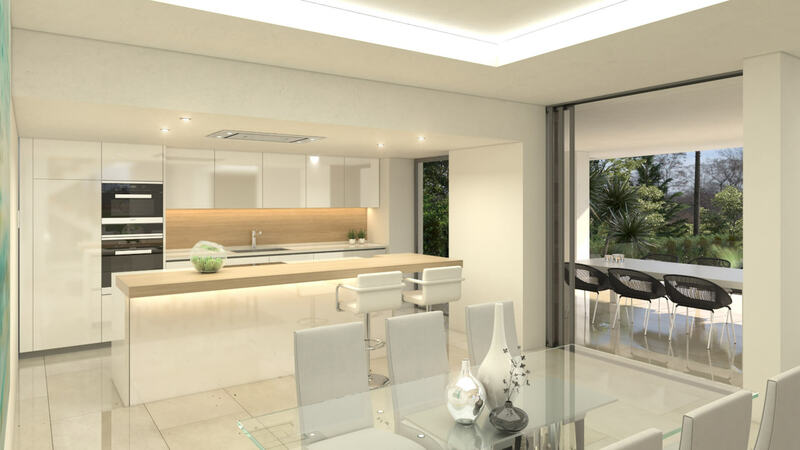 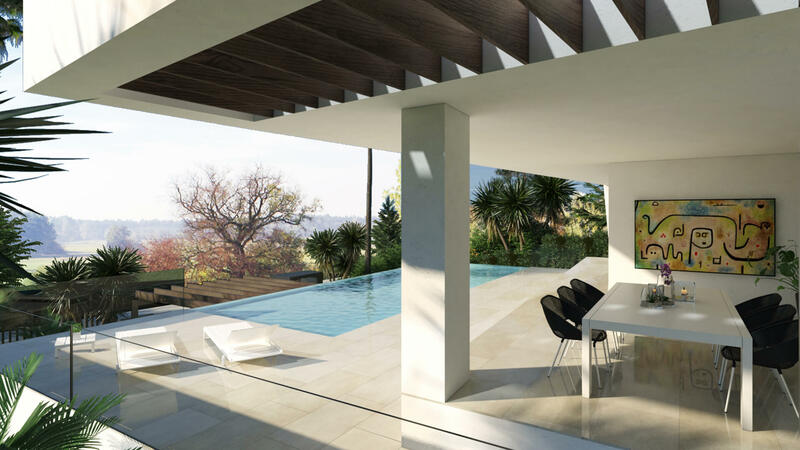 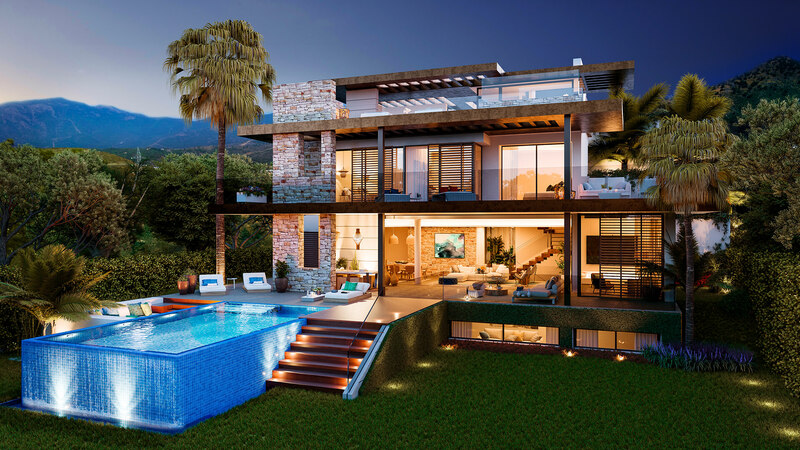 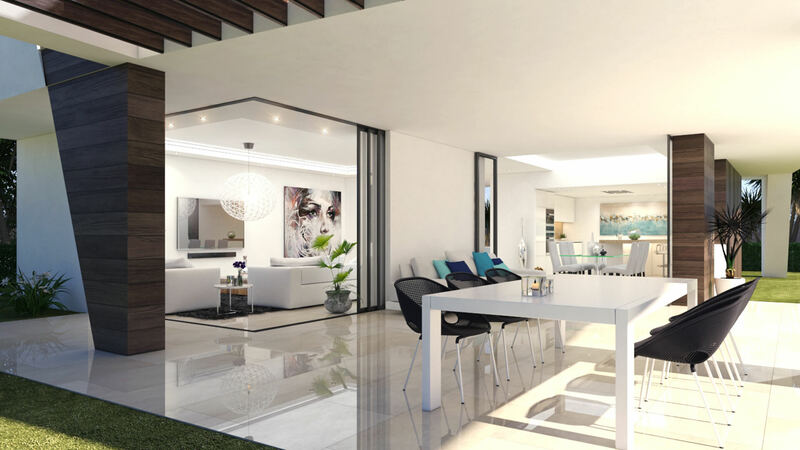 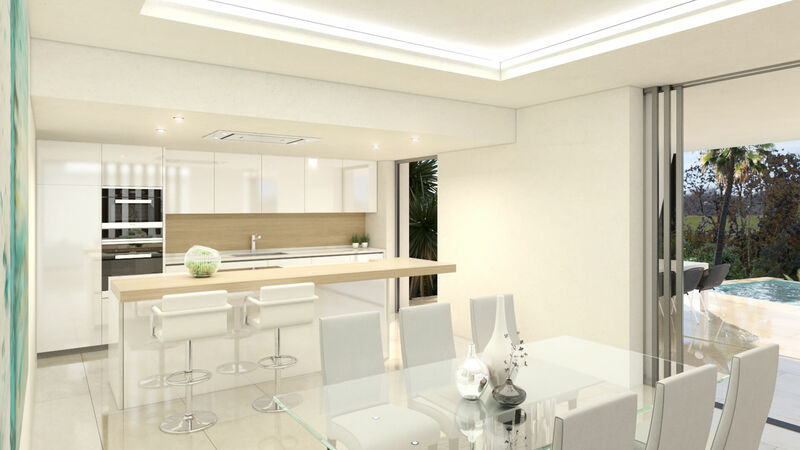 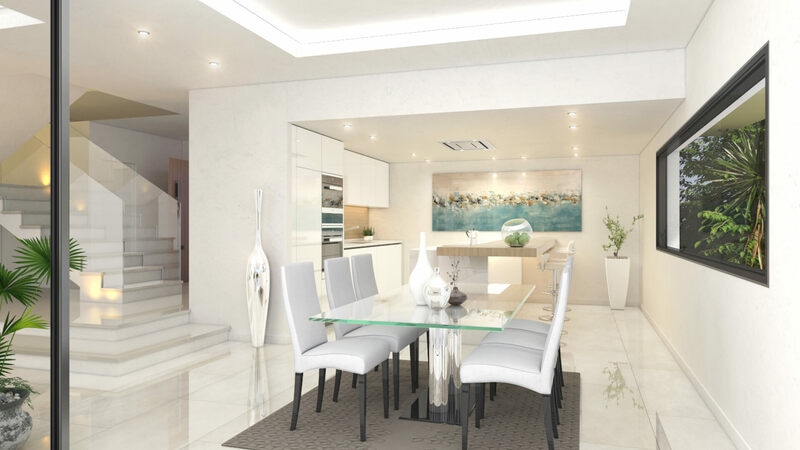 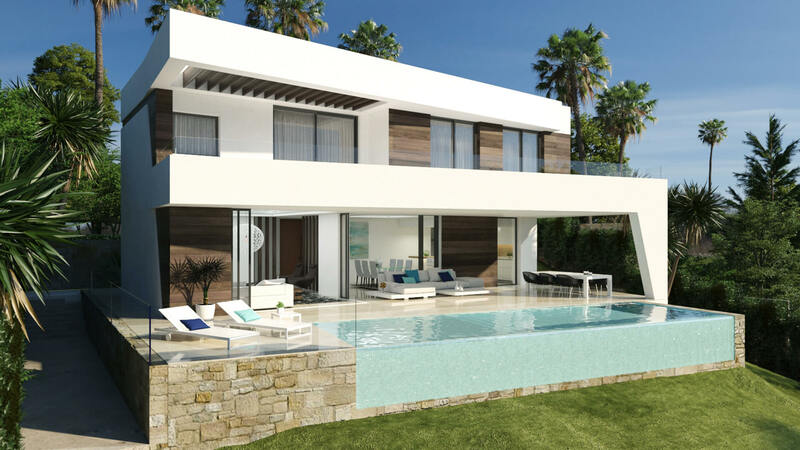 This small, south facing collection of villas offers you a contemporary, functional home with large open-plan areas that bring the outdoors inside by the use of large windows, natural stone and top-quality materials throughout the properties. 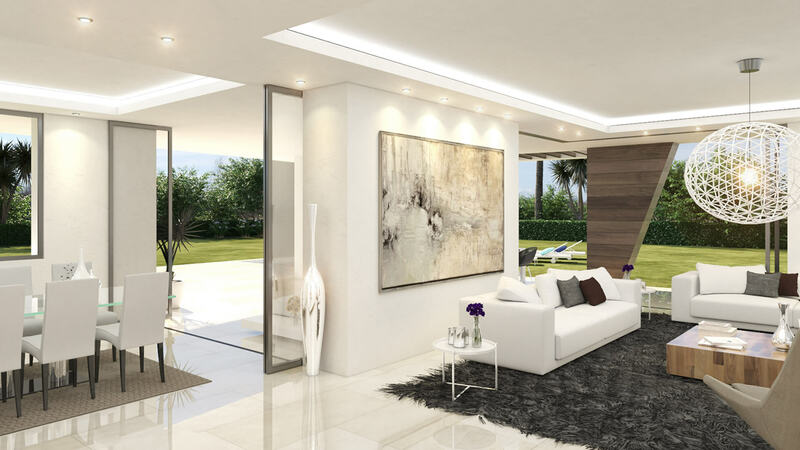 Optional basements and solariums allow you to customise the layout of your new villa and personalise the spaces for your own requirements. 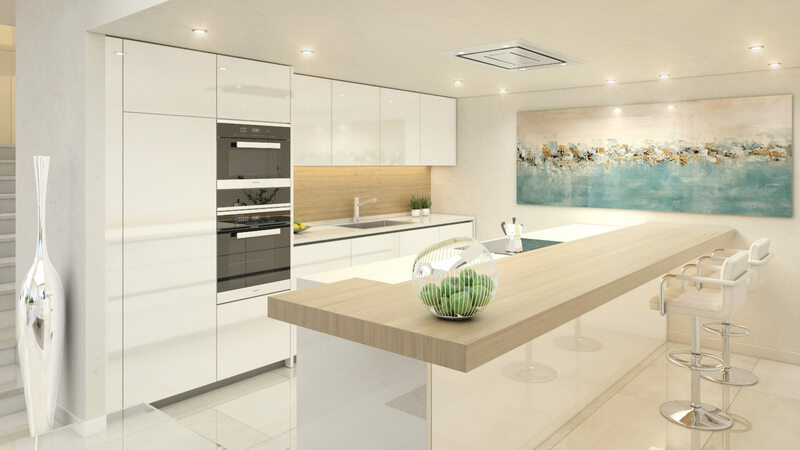 The quality materials used throughout are visible in the choice of beautiful open-plan Italian kitchens which feature top-brand appliances as well as the stylish bathrooms equipped with oversize showers and freestanding baths. 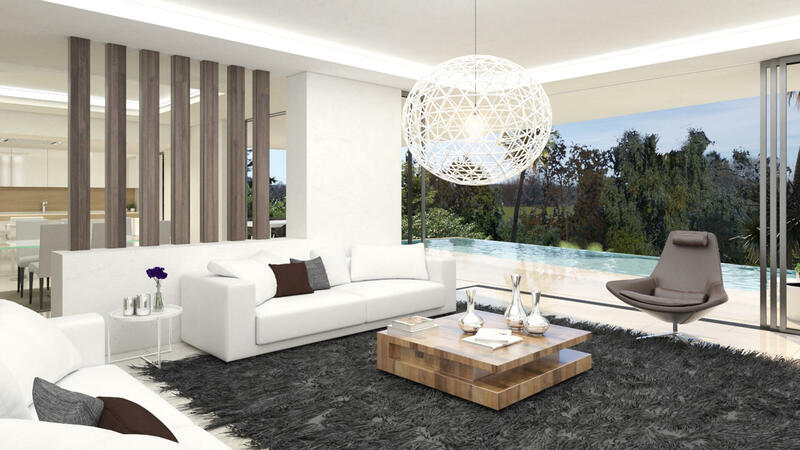 The bedrooms feature beautiful wooden floors. 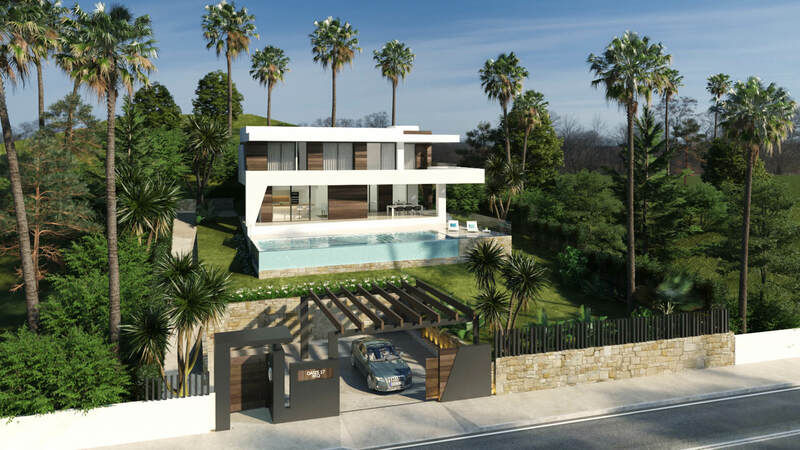 Properties have 3 or 4 bedrooms and all have 3+1 bathrooms. 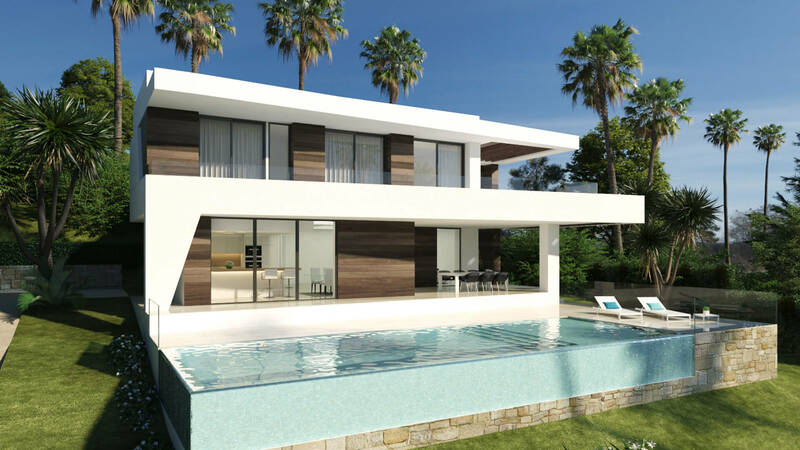 The villas all sit on ample size plots with private swimming pools and substantial garden space. 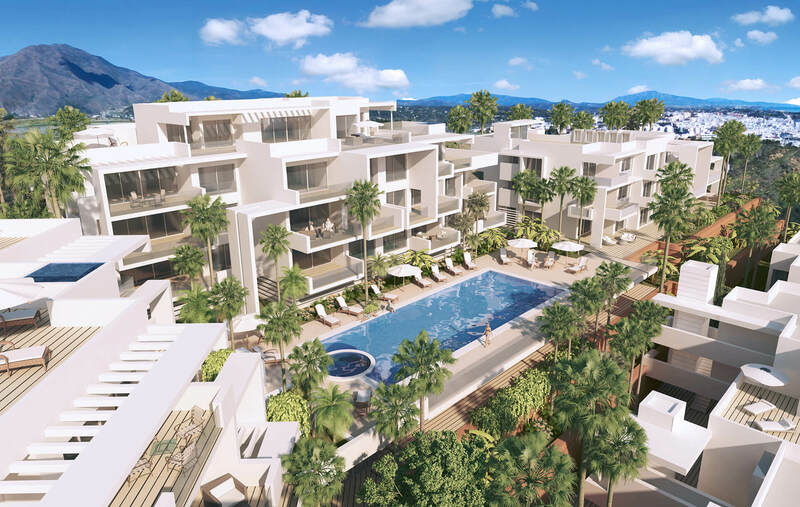 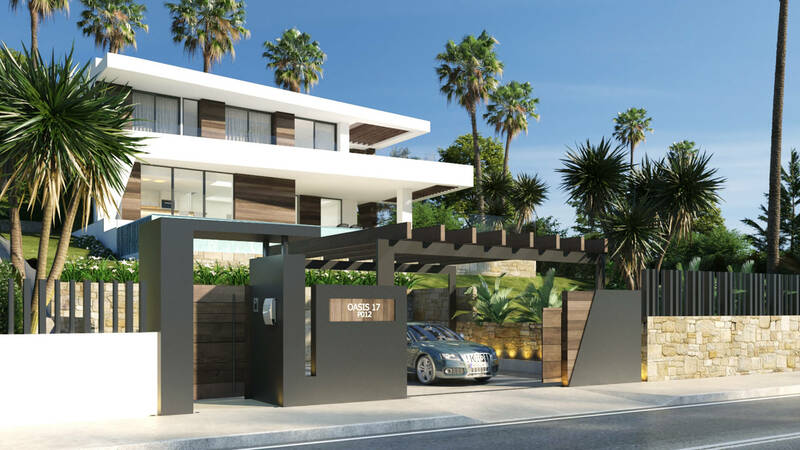 This is a secure gated community only a few minutes drive from Puerto Banus, Marbella and Estepona.